Artist Kate Woods constructs unique photographic arrangements that combine photography, painting and sculpture. Bonfires of 1986 is an exhibition of new works developed in Beijing while she was attending an artist residency programme. For this series, Woods researched the beginnings of China’s contemporary art scene, focusing on the work of politically motivated performance art group, Xiamen Dada, during the mid-1980s. Using documentary photographs of performances and exhibitions by the group, Woods reassembles elements of their infamous works in newly composed photographic settings. Key art ‘happenings’ are featured in these new works, such as Xiamen Dada burning their paintings outside the Cultural Palace of Xiamen, and an exhibition in which the group replaced their artworks with building materials from nearby construction sites. These photographic compositions also include handmade miniatures inspired by Chinese traditional craft forms, along with Woods signature faceted sculptural shapes within images of construction sites and housing development advertisements. The resulting works provide critical reflections on China’s rapid urbanisation. Kate Woods photographic constructions are landscapes within a landscape. Her montages explore reality and how photography is used to ‘manufacture’ versions of reality. Kate Woods is a Wellington-based artist who holds a Bachelor of Fine Arts from Elam School of Fine Arts, Auckland University (2002). In 2012 Woods was the recipient of an Asia New Zealand Foundation Artist in Residency in Bejing, China. Woods has exhibited in artist run spaces, dealer and public galleries including Te Tuhi Centre for the Arts, Auckland, XYZ Collective, Tokyo and City Gallery Wellington. Her work is featured in the publication, Seen This Century: 100 Contemporary NZ Artists, by Warwick Brown. 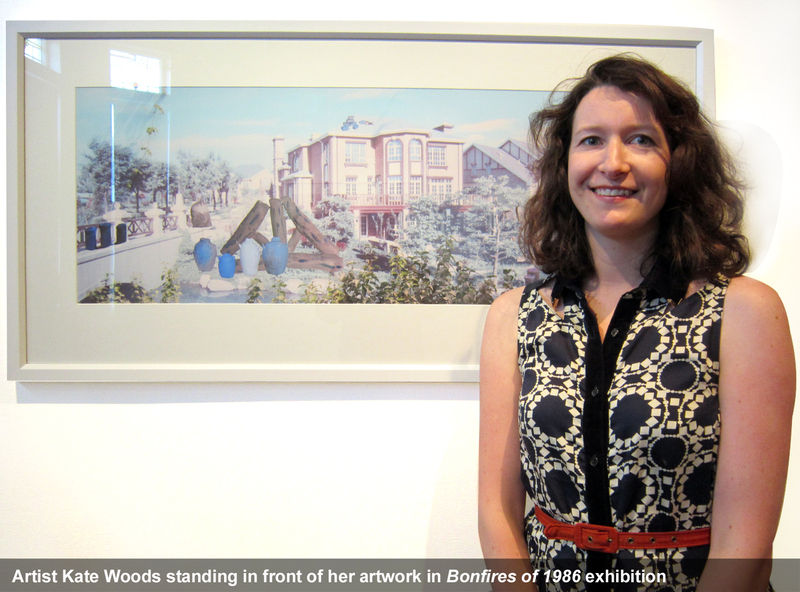 Woods work is held in the James Wallace Arts Trust collection and Wellington City Council Art Collection.